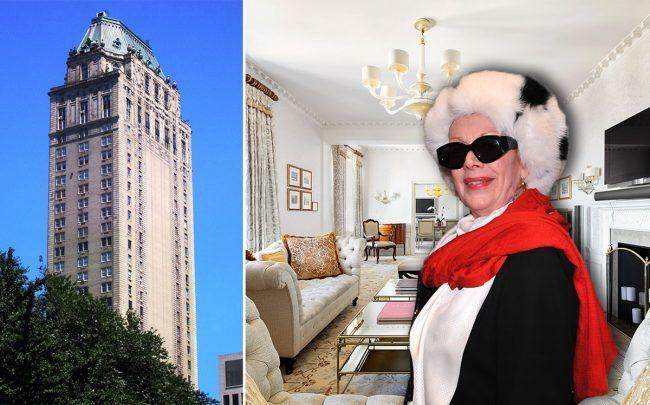 The 73-year-old widow of a Greek shipping magnate who refused to leave her Pierre Hotel co-op is now facing eviction. A judge at Manhattan Surrogate’s Court has ordered Tara Kulukundis, whose husband Michael Kulukundis died eight years ago, to leave the $10 million home by January 15, according to the New York Post. The executors of her husband’s will have already listed the unit for sale, saying its $12,000 a month in maintenance fees were too much for the estate to handle, but she would not leave the home. Judge Rita Mella said the executors of the will are legally obligated to prevent waste and noted that this eviction would not leave Kulukundis homeless, as she owns an apartment on East 52nd Street.